The Crawford Fund continues with efforts to ensure a reasoned debate around issues related to biotechnology and GMOs. For example, Modern technology: saviour or threat? was an address presented at our annual conference last year by Dr Elizabeth Finkel, author and Chief Editor of Cosmos Science Magazine. On the training front, we supported training last year on key factors in environmental risk assessment, risk management, and risk communication for GM crops which involved the Office of the Gene Technology Regulator and the Program for Biosafety Systems (PBS), a USAID-supported project managed by the International Food Policy Research Institute. 18 experienced regulators from Cambodia, Indonesia, Malaysia, the Philippines and Vietnam participated. These efforts around GMOs on both the public awareness and training fronts will continue but they may well also attract criticism. 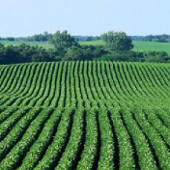 In a recent letter to Agricultural Science, the official journal of the Ag Institute Australia, Mr Shaun Coffey, Director of Research Management Development at the Crawford Fund indicated the difficulties faced by those who understand the benefits to the developing world from scientifically tested and correctly approved GM crops. Shaun reflects on the way we engage in public communication relating to contentious issues in this age of digital connection and how social media in particular works to build mythology and create ideologies in relation to science issues.